Recyling solid waste using ultra low temperatures. Products and materials can be embrittled by exposing them to cryogenic temperatures. Subsequent application of mechanical force in cryogenic mills and grinders easily breaks them up into smaller pieces. This process is mostly used to separate materials for later recycling. Often, complex substrates can be separated into their constituting components. Some examples : cryogenic recycling of rubber, steel cord and fabrics from waste tyres, cryogenic recovering of copper and PVC from electrical cables, recovering metals from contaminated tins and spray cans. By applying cryogenic grinding, very fine powders can be produced, which can be recycled into new materials and products. 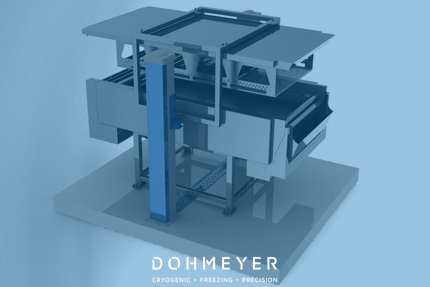 By exposing complex materials to cryogenic temperatures, the difference in thermal shrinkage of different materials will induce mechanical stress and cause them to crack. By subjecting them to some form of mechanical treatment, you can separate the materials. Some examples: paint removal on metal supports, cleaning of surfaces by blasting of CO2 dry ice pellets, separating PVC from PET bottles.